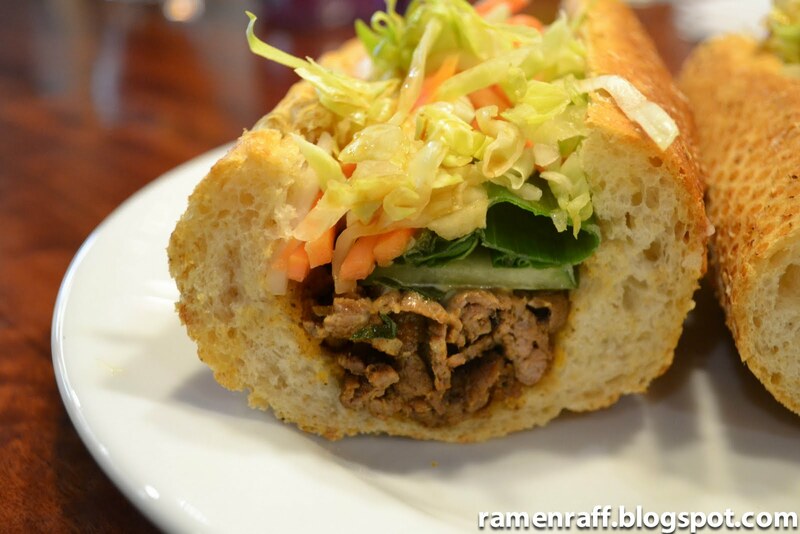 In the last two weeks, 75% of my lunches consisted of Taste Baguette. 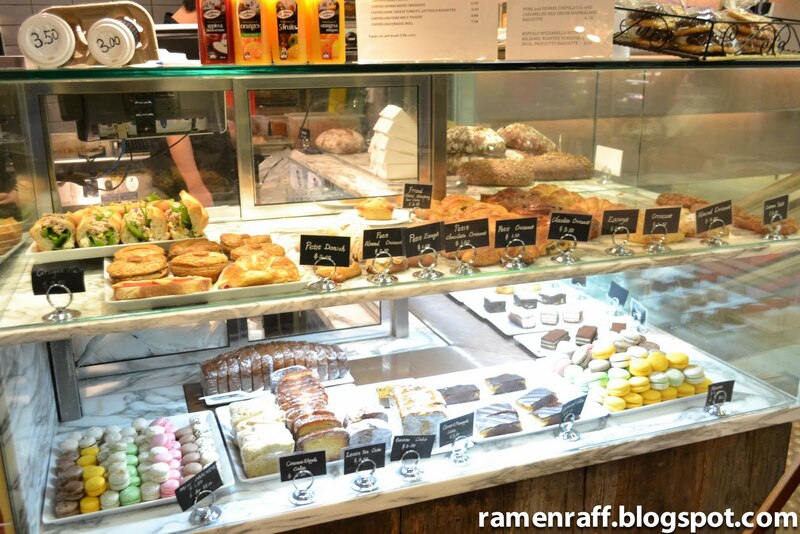 The baguettes, macarons, pastries and their coffee just keeps pulling me back here. I find myself abandoning a planned lunch elsewhere and I end up getting my baguette fix. 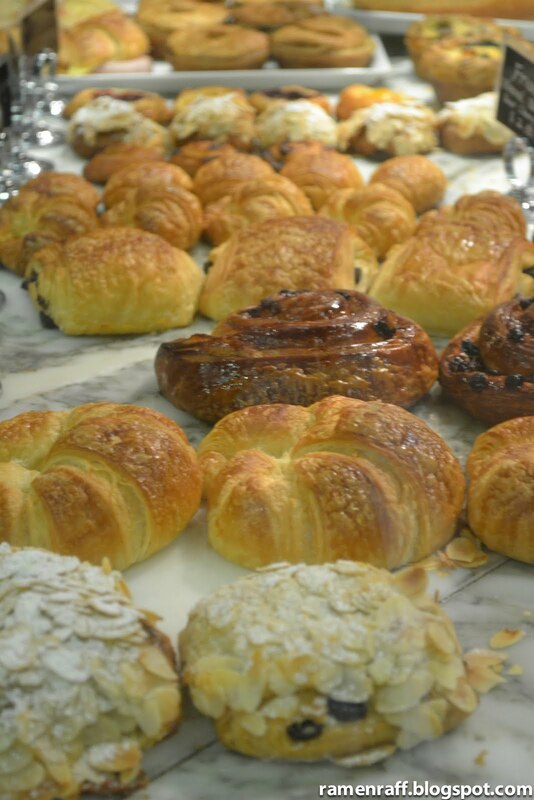 One would find freshly baked baguettes hard to resist. 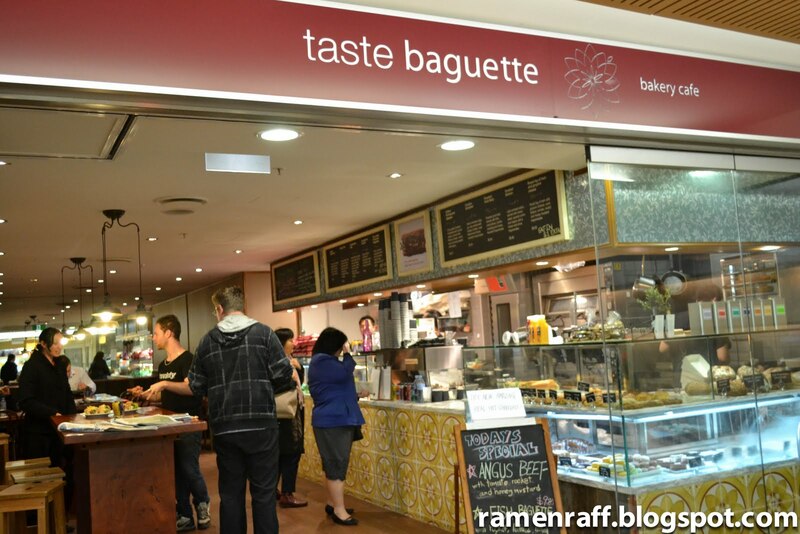 There are other branches in the Sydney CBD area but the Ramen League and I frequently go to the Martin Place joint. 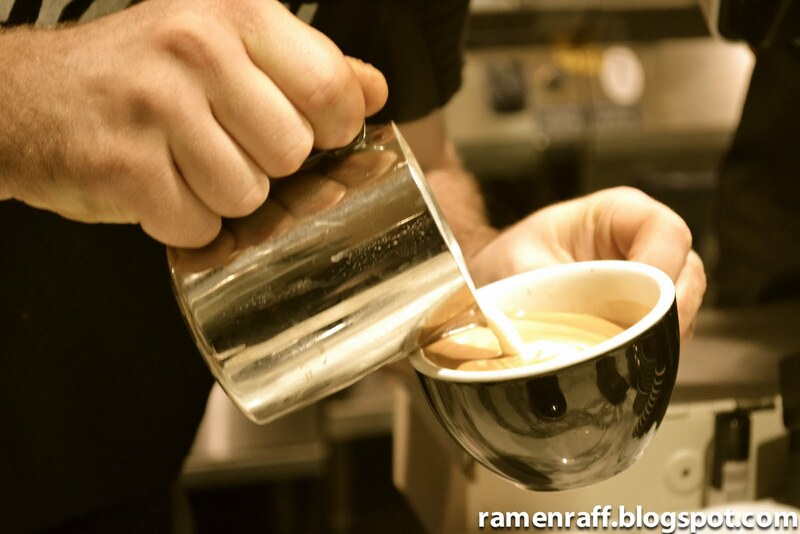 Someone once told me that there are two things that keeps customers coming back to a cafe or restaurant. It is friendly service and delicious food. Taste Baguette provides both. They also offer wholemeal and rye baguettes. For those that don’t know what baguettes are, they are long thin loaf of French bread that has a crisp crust. There is no way someone could pass by this place without noticing, stopping and checking out what they’ve got to offer. 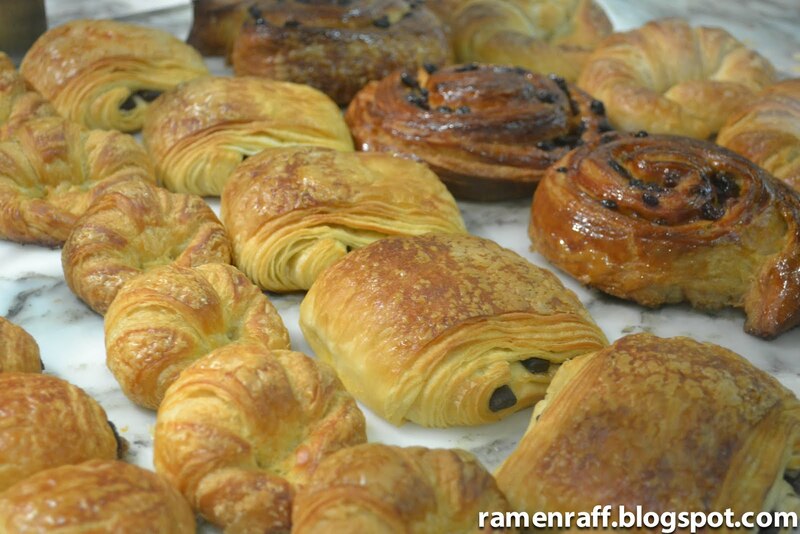 The eye catching display of pastry will call out to you and draw you in. The smell of coffee and fresh baguettes will make you want to eat here. The baguettes here are freshly baked every 15 minutes. 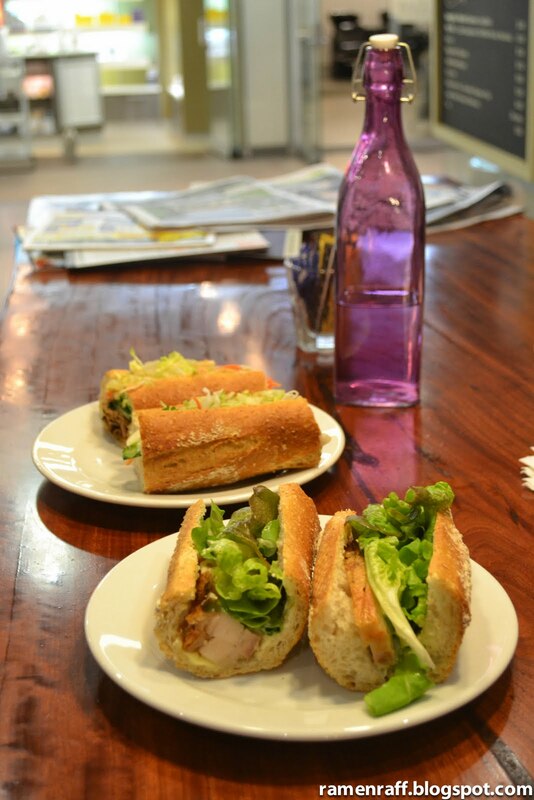 The roast pork baguette comes with lettuce, rocket, brie cheese, honey mustard mayo and pork crackling. 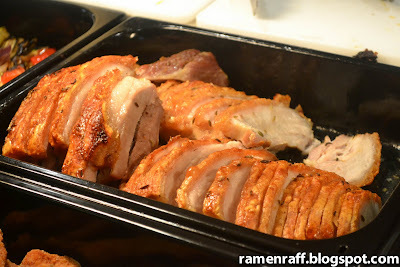 The pork is juicy and tender while the brie cheese and honey mustard makes the experience in your mouth creamier. The crispy pork crackling which had a hint of herb (it could be sage or fennel), is the highlight of the show. There is only one word to describe it, “awesome!!!”. My healthy lunch choice is the wholemeal Vietnamese style lemongrass beef baguette. The beef itself has been marinated in lemongrass. It also has pickled carrots, radish cucumber, coriander, spring onion. Again, this is another “awesome” baguette. 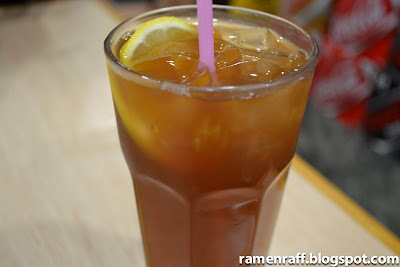 The beef’s juice which is a product of the marination is full of lemongrassy goodness. 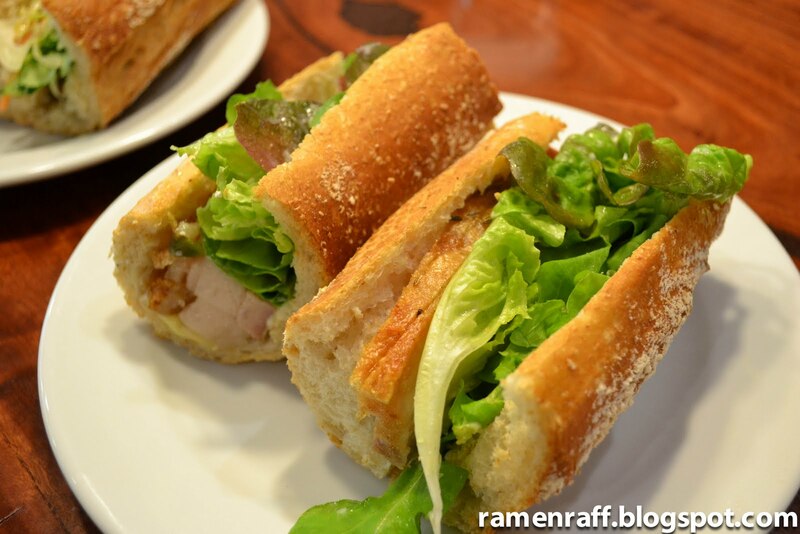 The salad in the baguette gives it a refreshing taste. 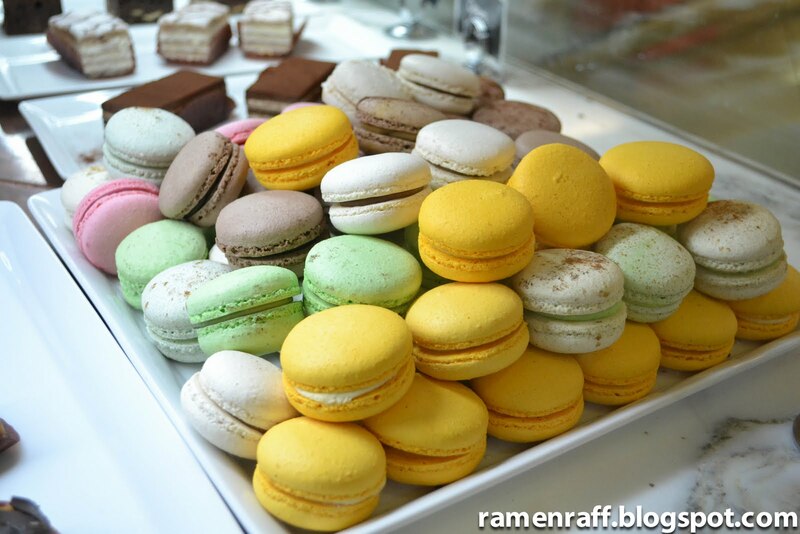 Their macarons here are all gluten free. My favourite’s the caramel macaron. It was surprisingly not too sweet and it also leaves a very nice after taste. 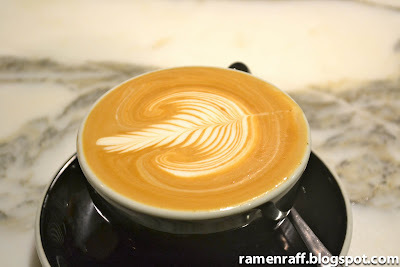 The ristretto flat white is their popular cup of coffee. It is strong, bold, but not bitter. I prefer having it with skim milk so that the shot of ristretto can be highlighted with every sip. If you need a coffee, pastry, or baguette fix, I highly recommend Taste Baguette. My lunch at Taste Baguette was very yummy for my tummy. How’s yours? 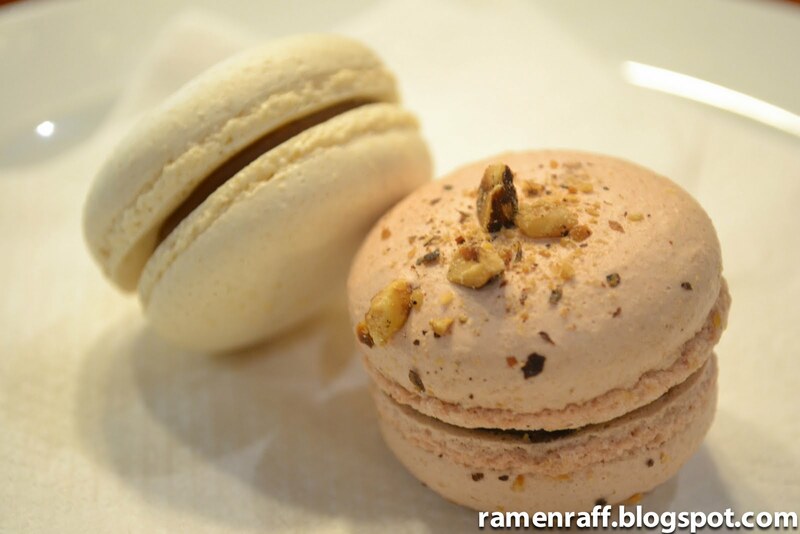 There is so much comfort food out there waiting to be explored and devoured. Winter time is the perfect time. Warm noodle soups and congee are definitely in season! So which eatery did we choose? We decided to go to Mother Chu's! Miso Scott and I visited this established eatery in the Chinatown area during our Friday lunch break. Normally, one would expect a queue and big crowd over at Mother Chu's Taiwanese Gourmet. We were lucky enough to get there early for lunch and were seated straight away. Even with all the tough competition around, Mother Chu's was able to withstand the heat in the Chinatown food arena for many years. 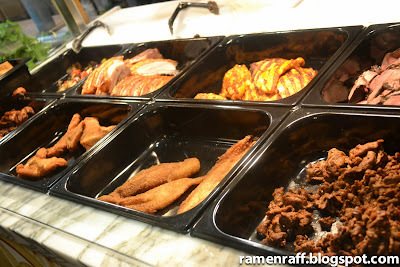 That is all due to their tasty food, reasonable servings, cheap prices and fast service. The Taiwanese style b.b.q. 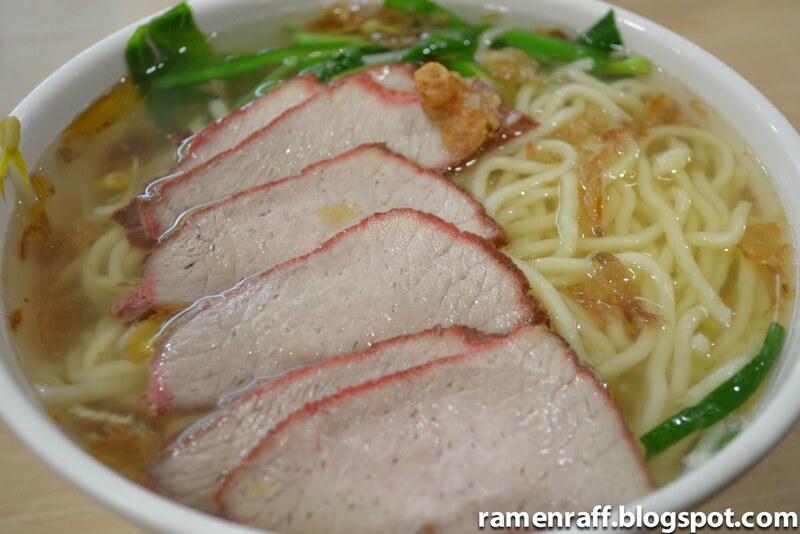 pork noodle soup was topped with comforting roast b.b.q. pork slices. The egg noodles were cooked al dente. The broth was very soothing and flavourful. 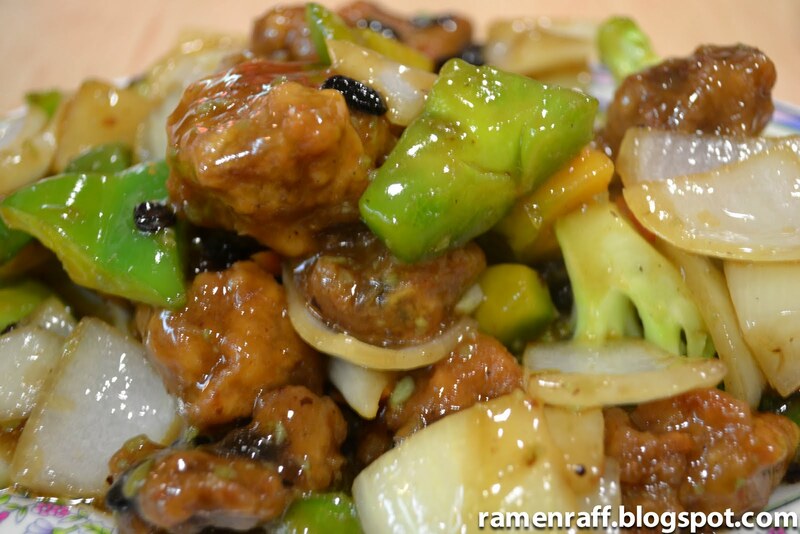 Upon noticing the pork ribs in black bean sauce in the menu, we ordered it without hesitation. The pork ribs were breaded, fried and stir fried with mixed vegetables and finished with black bean sauce. 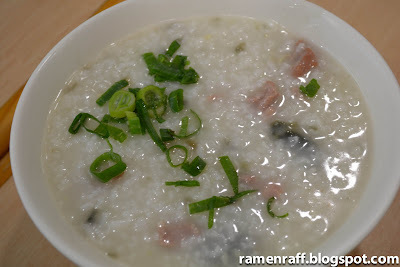 My favourite had to be the congee with pork and preserved egg. The texture was perfect to my liking. 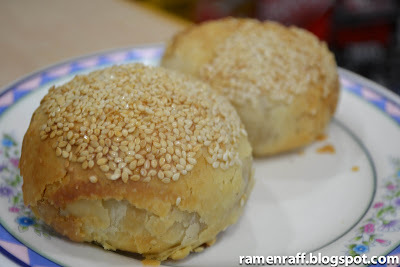 It was not too gluey in texture. 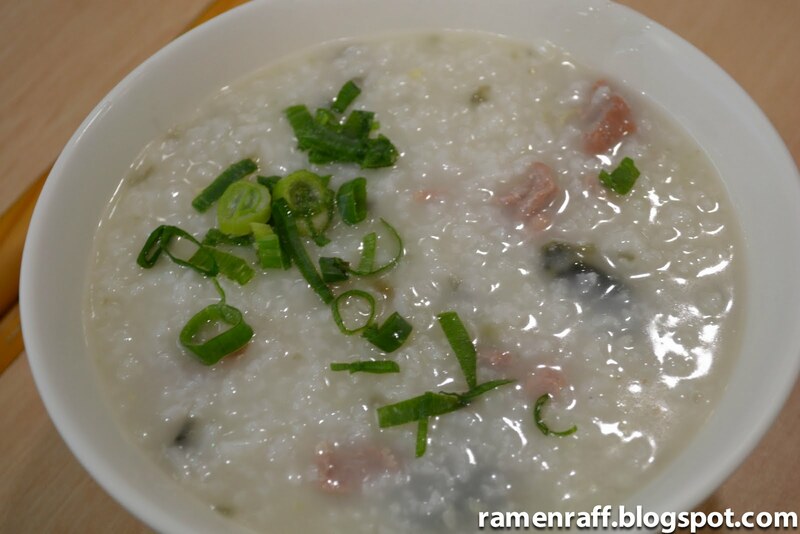 The taste was up to congee standard. It was also topped with chopped shallots which enhanced its flavour. Miso Scott came up with the best way to describe the pork flaky pastry. It tasted like a better version of a sausage roll. The herbs in the pork gave it character. 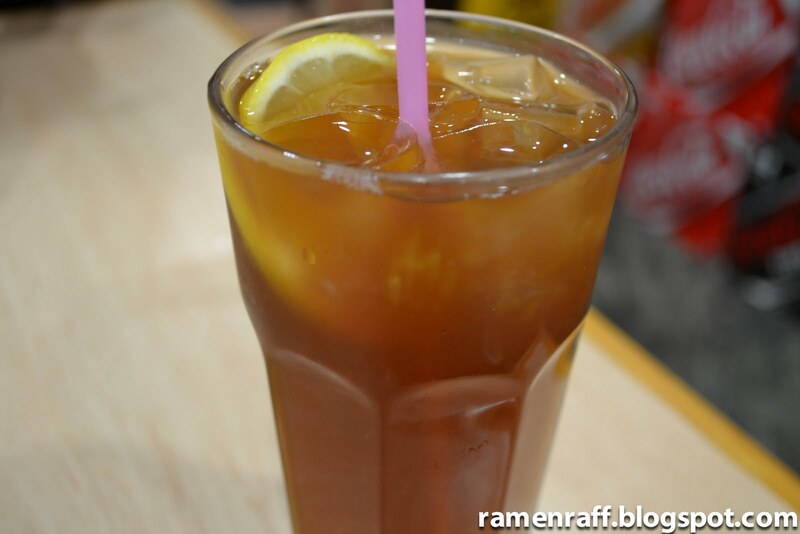 To wash it all down, I finished it off with an iced lemon tea. I will have to give their dumplings a go on my next visit. Next time you are in the Sydney Chinatown area and you are after good Taiwanese gourmet comfort food, give Mother Chu's a try! My lunch at Mother Chu's Taiwanese Gourmet was very yummy for my tummy! How's yours?